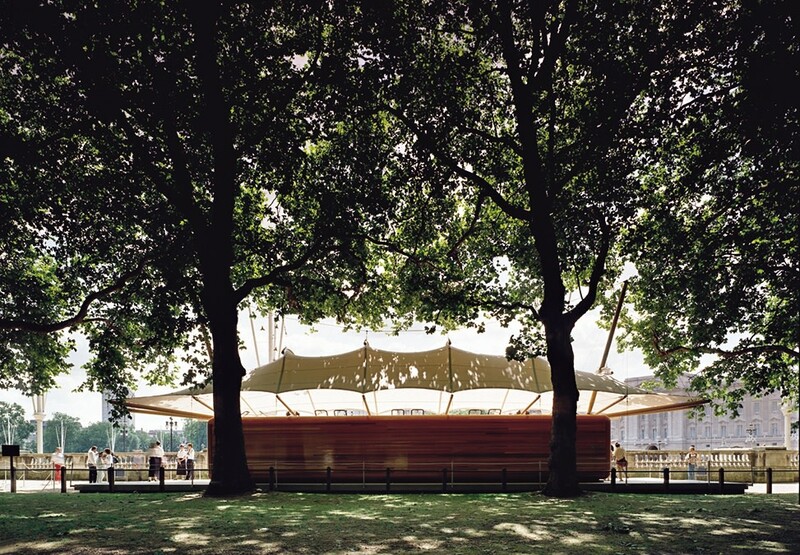 250,000 people visit Buckingham Palace during the summer months while the Royal Family are away. 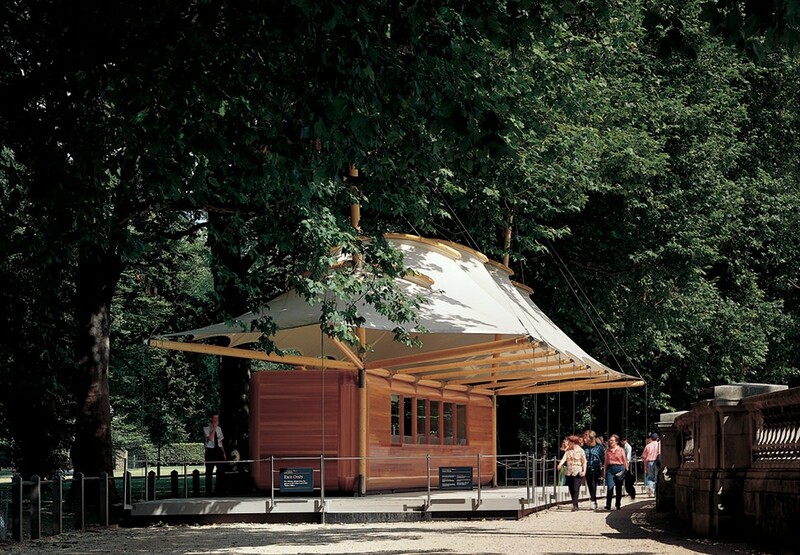 A demountable building was needed to provide efficient and secure ticketing for visitors. 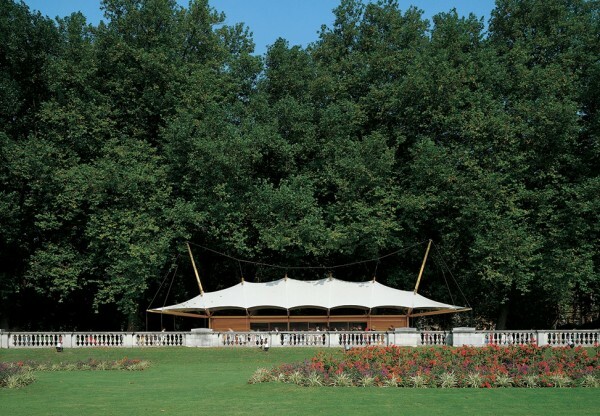 The resulting pavilion is situated at the edge of Green Park facing the Queen Victoria Memorial, in sight of Buckingham Palace. It takes its gently curving geometry from the radius of the memorial. The 15m long enclosed cabin is built like a boat from a finely crafted kit-of-parts, with plywood ribs and a skin of horizontal cedar boarding finished with yacht varnish. The corners are rounded with carved quadrant spheres to create a smooth, continuous envelope. 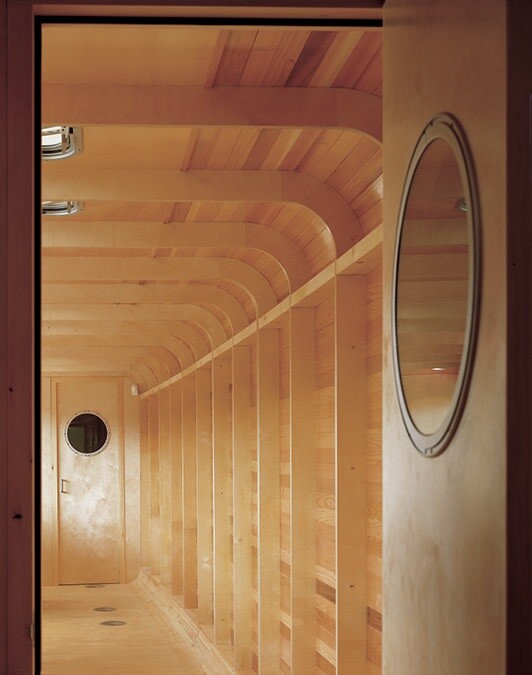 The cabin can be transported on a lorry and bolted together on arrival. 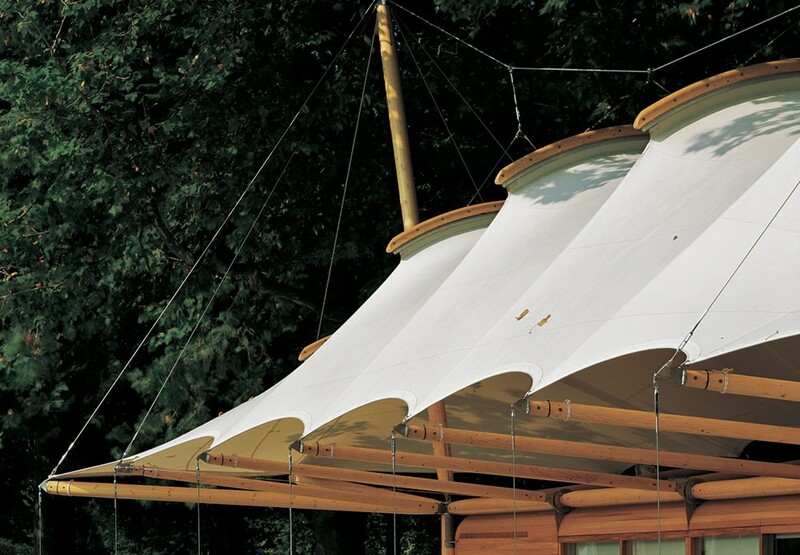 The structure of the acrylic canvas canopy is a clear expression of both compressive and tensile forces at work. 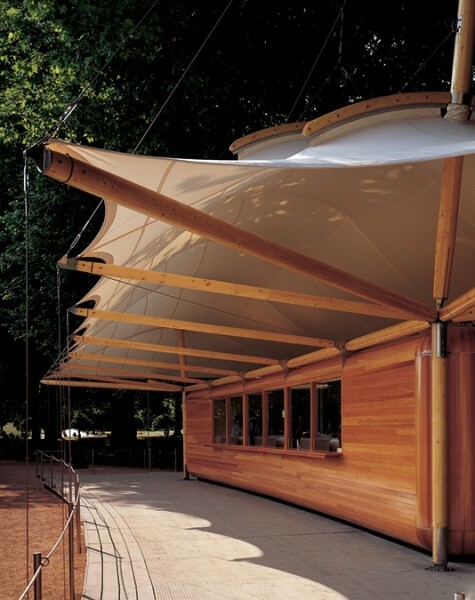 The cabin provides lateral stability while the laminated masts and struts tension the fabric with steel guys that tie the ends of the masts to the ground.